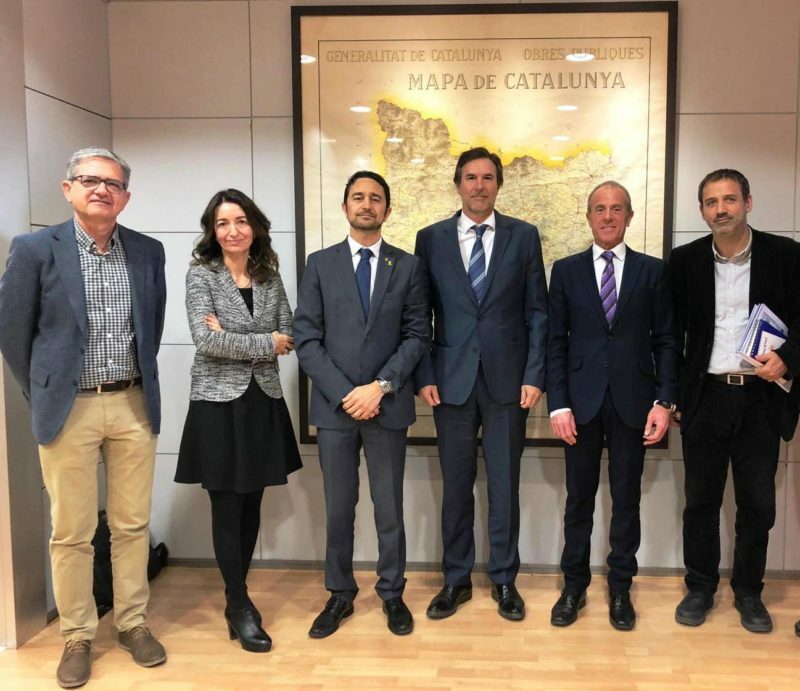 The Generalitat and the cement sector agreed on the need to promote public works in Catalonia and also on support for energy policies that are more beneficial environmentally and corporately during a work session held on March 19. The meeting, headed by the Minister of Territory and Sustainability, Damià Calvet, the Secretary of Environment and Sustainability, Marta Subirà, the General Director of Infrastructure Mobility, Javier Flores, and the President of Ciment Català, Salvador Fernández Capo, served to put in common the problems that affect the industry in Catalonia. Generalitat and sector agreed that the recovery of cement factories will help to consolidate the industrial fabric of Catalonia in a time of tertiarization of the economy that, in many cases, entails precarious employment. During the meeting, the representatives of the sector showed their disagreement with legislative initiatives that imply a double taxation, such as the motion for a resolution recently presented by the Parliamentary Group of Catalonia in Comú Podem on large combustion plants or the eleventh final provision of Law 16 / 2017, of Climate Change. These legislative projects clearly put at risk the continuity of the sector with the relocation of production. The cement industry is already subject, by decision of the EU, to the greenhouse gas emissions market. The difficulties faced by the industry, affected by both low cement consumption and energy costs, make a change in trend essential: in 2018, the expenditure allocated according to budgets of public administrations to investment in infrastructure has been the lowest in the last 25 years. Ciment Català also explained that, in this context, exports are essential today to maintain the activity. The availability and authorization of alternative fuels in line with the developed countries of our environment are key to be more competitive in foreign markets. Both interlocutors coincided, finally, with the aim of ensuring quality, durability and protection of the environment, it is necessary to use more and more information or non-economic parameters in the bidding for public works, thus tending to criteria of sustainability and circular economy. Share this news. Choose your platform!